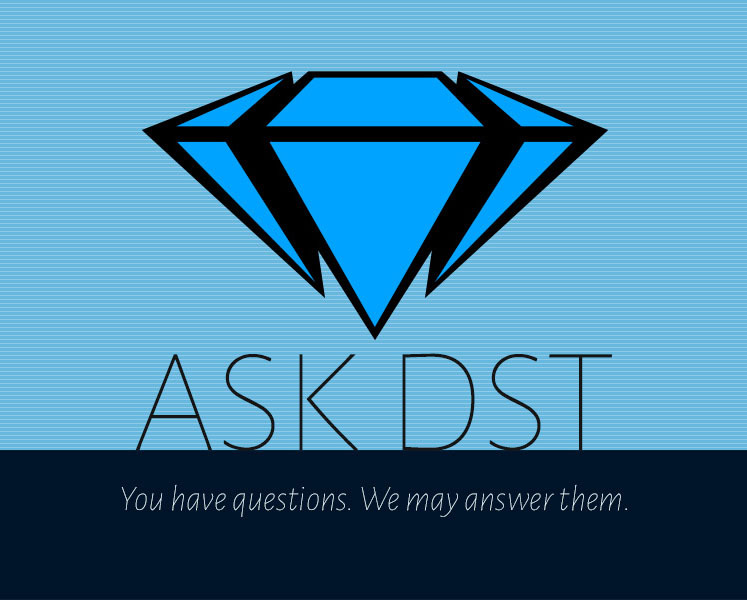 It’s time for another episode of Ask DST, with your host DSTChuck! 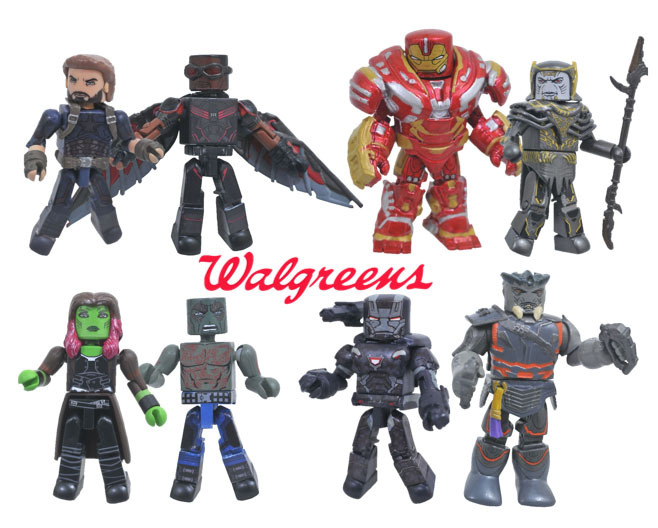 The president of Diamond Select Toys is fielding your Minimates questions this week, so read on to get answers to your burning Minimates questions, including Avengers: Infinity War, The Walking Dead, Alien: Resurrection, Sonic the Hedgehog, TMNT and more! Don’t see your answers? Submit your question in the drop-down form up top, or e-mail DSTChuck! 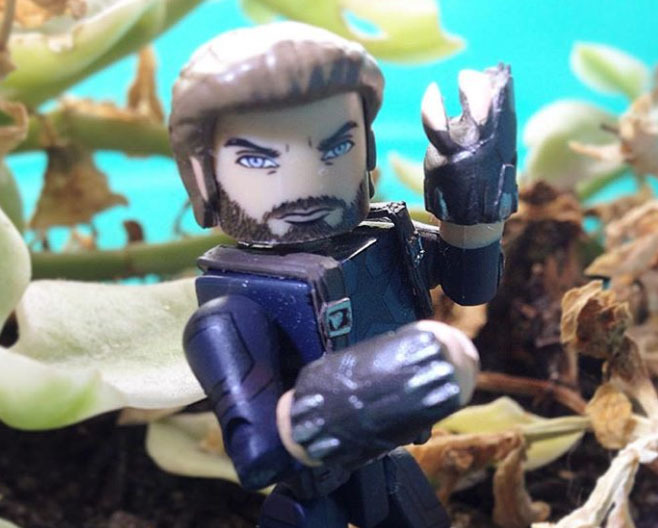 Why isn’t there Captain America in the Infinity War wave of Minimates? 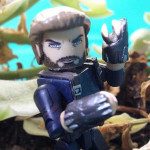 DSTChuck: We do have a Cap planned for the Infinity War line, in Series 2. 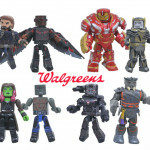 He will be available in the Walgreens aassortment, which is rolling out to stores now, as well as the comic shop and specialty store assortment, which was formerly slated for Toys”R”Us. Hello! I was wondering, where are The Walking Dead Minimates? I have a whole group of thousands of people who would LOVE to get more of them. Was the line canceled? If so, why? DSTChuck: Based on the sales of the last couple lines, the group that was interested in the line is much smaller than you think. It was lots of fun to work on the line, but based on sales it seems to have run its course. DSTChuck: The assortment — Series 4, with Alien 3, Resurrection and Isolation — is now being offered to comic shops and specialty stores. Order through your local comic shop or your favorite online retailer! Hello, I love the Minimates with many weapons, can you make Minimates of Metal Gear Solid please! DSTChuck: I am sorry, at this time we do not have rights to MGS and we are not currently in the discussion to acquire this license. I have been loving the retro X-men love lately! I was wondering if there are any plans to update Iceman, Beast, Angel (in either his red or his fully blue legged costume), or Polaris. Those seem to be the only major X-men out of the era who haven’t had updated figures to match the rest of the Claremont and Byrne X-men? DSTChuck: We always look to X-Men for ideas, and that era and Jim Lee are two personal favorites. Hi! Any plans of indulging your Minimates fans with Grifter and the WildC.A.T.s? DSTChuck: I am sorry, that is not something we have considered at this point. 1) I do not know if our designer Barry Bradfield has, but that’s a cool idea! 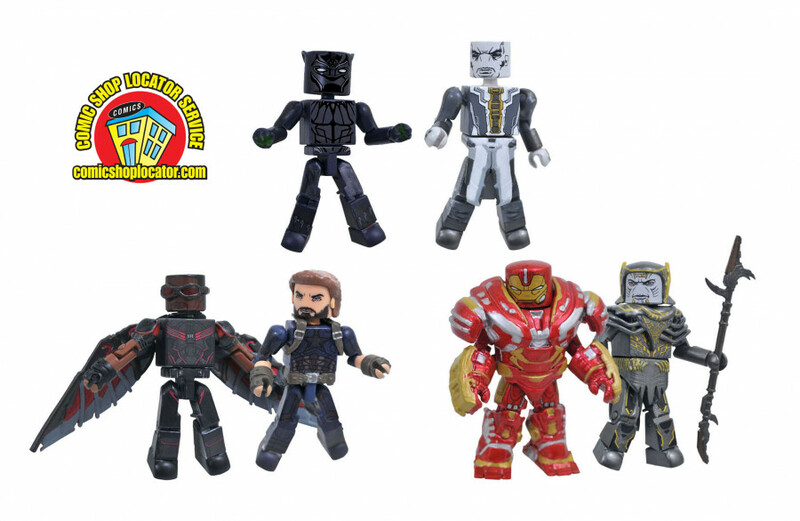 2) We would of course like to do several series of Minimates, if the demand is there. 3) We have no ability to make anything from the Nintendo library, sorry. Since Marvel has reacquired the license for CONAN the Barbarian, could you please produce Minimates of Conan? DSTChuck: Our Marvel license does not include comics they are licensed to produce. Sorry. 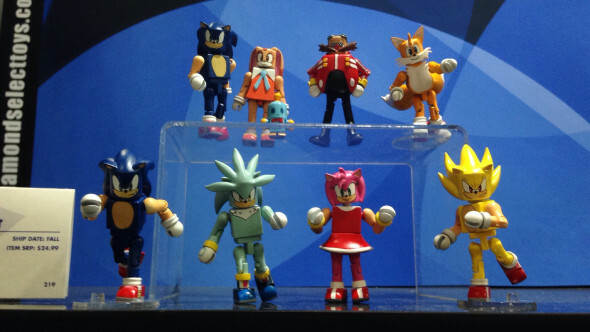 I would like to know if it was ever considered making Minimates series of Jojo’s bizarre adventure and Saint Seiya. 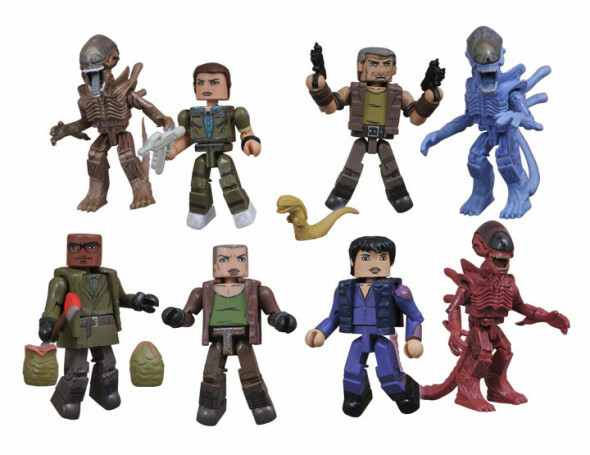 Although the characters never enjoyed much popularity in the US, that would certainly be a huge success among worldwide Minimates fans. Thanks. DSTChuck: I am sorry, that is not something we are considering at this time. We have not done a lot with anime, and I’m not sure we would start with a show that is relatively obscure. 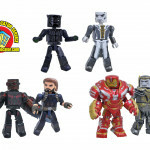 Hey, with figures coming out from Funko for characters from Marvel: Future Fight, and you having made Contest of Champions Minimates for NYCC, is there any chance of you making Minimates for the original characters from Future Fight? Like Luna Snow and Sharon Rogers? Maybe even the latter in her starlight armor? DSTChuck: I am sorry, that is not something our license allows; the Contest of Champions Minimates at NYCC were a promotional project. Hi can you do more Tomb Raider Minimates? Hello DST, will the Ninja Turtles Minimates return? If so would you guys ever tackle the 1990 movie? I really enjoyed the current show Minimates and was sad to hear the classic wave was cancelled. I hope the license isn’t lost. DSTChuck: Hope is not lost, but we do not have any concrete plans. Internally, we would love a chance to do more. Don’t see your answers? Submit your question in the drop-down form up top, or e-mail DSTChuck! 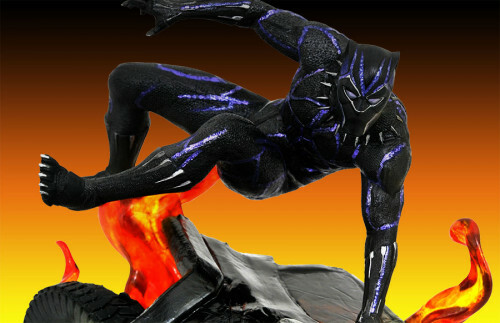 Next Up: Coming This Fall: Black Panther, Kingdom Hearts, and Harley Quinn!